Few European cities can offer you the wide diversity of cultural experience that you'll find here in Barcelona, attracting millions of travellers year on year, many of which decide to stay. The mild climate, beautiful coastline, small and winding streets, charming architecture that takes you back in time, delicious and affordable food make it a perfect place to host such a conference. Couple that with the luxury of 4.2 km of beach only a short walk from the city centre, warm sunshine most of the year, you have have the perfect setting for an enriching and relaxing experience. 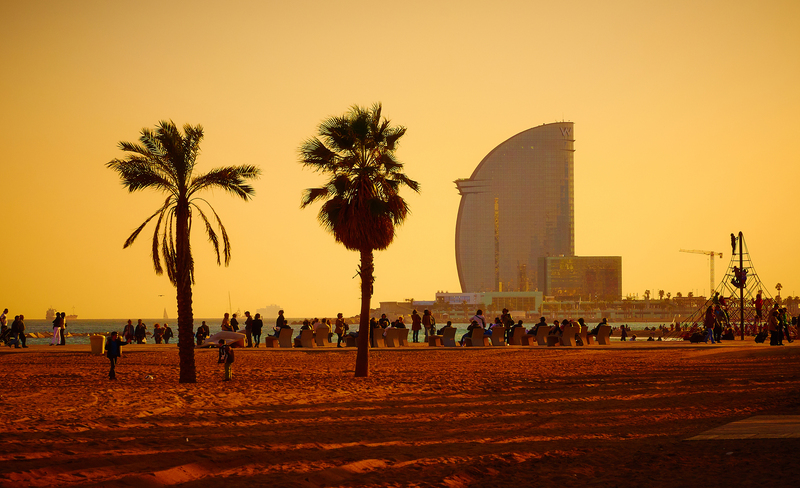 Barcelona has undergone a transformation in recent years. It’s always been looked upon as a city of great thinkers, artists and architects, but now it can add “smart city” and “innovative startup hub” to its repertoire, rendering it a prime location for technology and attracting increasing numbers of international talent to its shores. The quarter is the centre of the old city of Barcelona, built primarily in the late 19th and early 20th century, though several buildings date from medieval times. The Barri Gòtic retains a labyrinthine street plan, with many small streets opening out into squares. It stretches from Plaça de Catalunya to the marina (near the seafront), edged the famous La Rambla street. Within walking distance from the above Barri Gòtic and La Rambla street (across the marina).